Inflammation is an important immune system function. But, when out of control, it can cause serious damage. Inflammation has been linked to major diseases such as Alzheimer’s, arthritis,cancer, diabetes, heart disease and signs of aging. There’s good news, though: many foods are naturally anti-inflammatory. Antioxidants found in foods protect your cells from the effects of free radicals and can help reduce an overabundance of inflammation in your body. Beets, with their wonderful red color, are a powerful antioxidant and anti-inflammatory. Beets can boost your energy and lower your blood pressure. A single serving of 500 milliliters of beetroot juice has been shown to reduce blood pressure by 10.4/8 millimeters. Beets are high in nitrates; this study showed that a serving of beetroot juice boosted athletic performance by one to three percent. 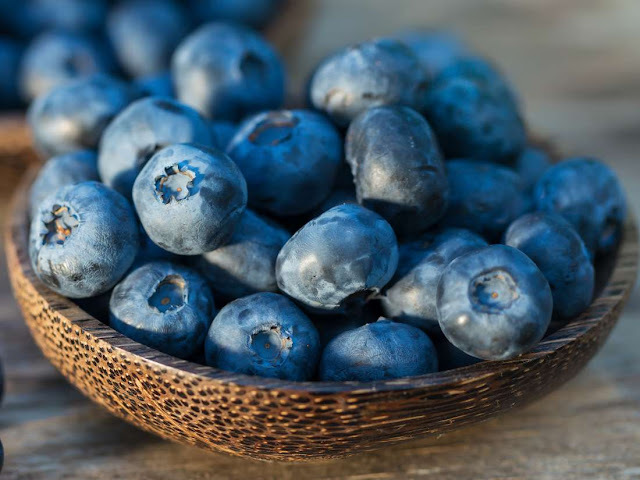 Blueberries have been found to reduce inflammation in many studies on animals; there are yet to be more studies done on humans. Studies do indicate that blueberries are good for brain health. It is best to eat organic berries since pesticides on berries are hard to wash away due to their size. Broccoli is loaded with detoxifying antioxidants. Broccoli is a particularly rich source of kaempferol and isothiocyanates, both anti-inflammatory phytonutrients. Research has shown the ability of kaempferol to lessen the impact of allergy-related substances on our body. Broccoli even has a significant amount of omega 3 fatty acids, which is a well known anti-inflammatory. Green Tea contains many anti-inflammatory flavonoids. A 2002 study found the most abundant catechin of green tea (epigallocatechin-3-gallate) to be a potent anti-inflammatory compound with therapeutic potential. The antioxidant properties of green tea are so effective that studies have shown a 22 percent reduced risk of developing breast cancer, a 48percent reduced risk of prostate cancer and an amazing 57 percent reduced risk of colorectal cancer. Garlic can help reduce inflammation. At Washington State University they found garlic to be 100 times more effective than two antibiotics at fighting the Campylobacter bacterium—one of the causes of intestinal illness. Ginger helps reduce inflammation and control blood sugar. Ginger tea is a great addition to any diet. A study published in the National Library of Medicine compared ginger extract to common pain killers and found ginger to be very effective in reducing pain. Extra Virgin Olive Oil helps fight inflammation. Olive oil is full of polyphenols which protect the heart and blood vessels from inflammation. Onions contain quercetin, a potent antioxidant that can help your body fight inflammation. Onions stimulate the respiratory tract and help expell sputum (phlegm). The onion is also a proven antioxidant and may be helpful in treating certain cancers. Seaweed contains a complex carbohydrate called fucoidan that studies have shown to reduce inflammation. Seaweed contains 14 times more calcium by weight than milk. Kelp, kombu, wakame and arame are good sources of seaweed. Spinach is one of the highest nutrient-dense foods. It contains a unique mixture of phytonutrients, is high in antioxidants and anti-inflammatory components which help protect against cellular damage. Turmeric has anti-inflammatory properties and has been shown to be more effective than anti-inflammatory drugs. Curcumin, the active ingredient in turmeric, targets multiple steps in the inflammatory pathway at the molecular level.